An investor with FXPRIMUS PAMM recently made 14.64% gains after 3 months Opening a PAMM account with FXPRIMUS. He deposited 200 USD with FXPRIMUS on the 31 July 2017 and by 6 October 2017, he has already made 14.64% gains from his initial investment. You need to remember this: you do not trade forex when you join PAMM. Somebody else is trading for you. You as an investor, just reap the reward. So making 14.64% gains within 3 months investing with FXPRIMUS PAMM is not something to be taken lightly. The money earned is passive. He didn’t work for it. He just parked it under a really experienced master trader within the PAMM ecosystem. Would you like to make passive money like this chap in the video above? 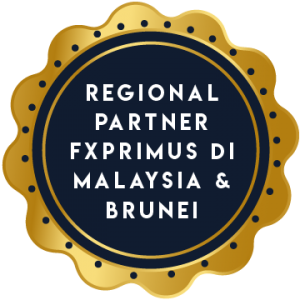 Then, send an email with the title “FXPRIMUS PAMM” to fxprimusmalaysiaib@gmail.com to get further instruction on how to proceed to open a PAMM account. The people handling the email will guide you thru the entire process of opening a PAMM account, to depositing funds and finally, select the best master trader to invest your money with. ← Previous Previous post: Safety & Trust: Is There Really Such Thing in The Forex World? Next → Next post: Fxprimus…10 Years Today: What An Achievement!